Subcellular fractionation methods permit the isolation, purification, and/or enrichment of specific cellular compartments from complex tissue samples. Enrichment of multiple subcellular compartments from the same tissue sample permits comparisons of the spatial distribution of target proteins between specific intracellular compartments and, in some cases, can provide information about spatiotemporal processing of key cellular components. Here we describe a method to generate subcellular fractions enriched for heavy membranes and nuclei, rough and smooth endoplasmic reticulum membranes, light membranes and cytosol, synapses, and other intermediate cellular membranes from postmortem human brain tissue. 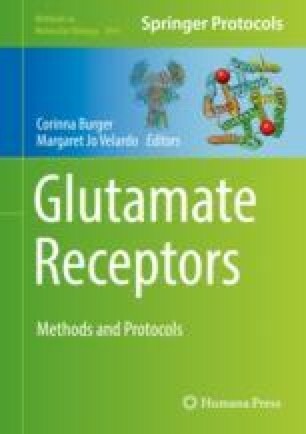 These subcellular fractions can be used in a variety of downstream applications to assess the localization, relative abundance, and stoichiometry of glutamate receptor subunits along the forward trafficking pathway.